Yesterday I attended the mid-winter conference of the local financial planning association. I listened to various speakers talk about the economy and how it relates to personal finance. One of the presenters was John Mitchell, a local financial guru, who spoke about the current economic climate in the state, the nation, and the world. Mitchell's presentation was outstanding — I wish I had recorded it. He argues that this country has encountered similar problems before, and has always overcome them. He's confident we'll overcome this one, too, but it's going to be painful, and it might take a long time. Mitchell says that the current recession is a “generation-changing moment”. Events like The Great Depression, Pearl Harbor, 9/11 — and the current economic crisis — fundamentally change the way people act and behave. 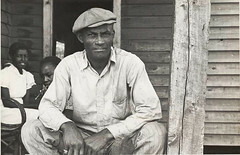 He cited his own father, who was a teenager during The Great Depression. “For him, high-risk investment was a passbook account,” Mitchell joked. Because he had seen the bank failures of the 1930s, he was leery of even a basic savings account. The current economic crisis will create the same sort of scars. Mitchell noted that it used to be when somebody moved to a new city and planned to stay a couple of years, they bought a house, confident that they could sell it later for more than the purchase price. Not anymore. Now when somebody intends to stay someplace for a short time, they're reluctant to consider a home purchase. Mitchell seems to think that economic calm lulled us into complacency. “When there are only 16 months of recession in 25 years, what assumptions do you make?” he asked the audience. People become accustomed to unending growth. Their risk tolerances relax. They make choices that don't mesh with history, because the only history they see is recent history. Now risk tolerances are swinging the other way. People are panicking because, again, they're only looking at recent history. I'm in the [financial] industry…I can tell you now that when the markets tanked during October, people with less than (approximately) 100k behaved significantly different from investors with 100k+ in the market. Also, people who did not have an emergency fund behaved significantly different than those who did, generally to their own detriment. As it was happening I was shocked by the clear income demarcation that seemed to separate rational behavior from irrational behavior. Do small investors make behavioral mistakes that keep them from becoming wealthy? Another speaker at the financial planning conference was a woman named Kevin from the Oregon Division of Finance and Corporate Securities. Similar to NickK above, Kevin observed that a lot of people have been calling financial advisers and asking them to move 100% of their portfolio to cash. Kevin cautioned advisers against this. “Advisers are not order-takers,” Kevin said. “You have a fiduciary responsibility. If, as an investment adviser, you think this is foolish, it's your job to resist. You may even have to fire the client.” The implication — and the sentiment in the room — seemed to be that it doesn't make sense to move to a 100% cash position. As in any economic climate, it's important to understand risk tolerance, asset allocation, and diversification. Remember: On the whole, diversification decreases risk while increasing returns. I've written before about why it pays to ignore financial news. The media is in the business of selling news, and to do that, they sensationalize it. “Irrational exuberance has become pervasive gloom,” John Mitchell said at the end of his presentation. Neither state of mind makes sense. They're both extremes that lead investors to make poor decisions. When you pay too much attention to national or international economic news, you can find yourself making decisions that don't make sense for your personal economy. Three years ago when the housing bubble was in full swing and credit was flowing freely, many people bought into the idea that quick profits could be made from real estate. Now some of them — including my own brother — are facing foreclosure. That media-fueled frenzy has turned into media-fueled despair. If you didn't give in before, don't give in now. The national economic situation does affect our personal financial decisions to some degree. When unemployment soars, it's important to maintain an adequate emergency fund and to limit your use of debt. When the stock market is down, you need to understand your investment objectives, and how these relate to your risk tolerance and your investment timeline. The foundation of a strong personal economy is education. To become a wise investor, you must be an educated investor. And you must recognize what you can and cannot control. The national (and global) economy affects your personal economy, but ultimately all you can control are your personal finances. 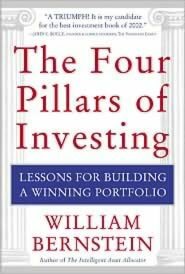 If you need more information on investing, go to your public library and borrow The Random Walk Guide to Investing [my review] or The Four Pillars of Investing [my review]. The Oregon Division of Finance and Corporate Securities features some excellent free publications for download, including The Basics of Wise Investing [PDF]. Read up on the subject, seek a professional adviser, and make your decisions from a position of knowledge and strength, not from a position of fear. There are 52 reader responses to "The National Economy Versus Your Personal Economy". I think it’s fascinating that only a year or so ago everyone talked about how the US didn’t save, that we weren’t a country of “savers,” how horrible that was, etc, etc. And now here we are, after a “generation-changing moment.” People are changing their behavior. They are saving more money and spending less. The “impossible” is happening. @Writer’s Coin: I agree that the impossible is happening and it’s truly amazing. I don’t know why some people do that — buy when there’s been a period of strong growth, and sell when there’s been a period of loss. It’s completely bananas stupid. Past performance (as in the recent past) is REALLY no indication of future performance. I’ve been investing steadily trough it all, started 5 years ago, and this far it’s been good overall, despite the recent turmoil. It don’t bother me either, I’m saving long-term, as in I want some cash for my retirement in 25 – 30 years. The current crisis gives low prices, I get a lot of shares for my cash. I’m confident that at the end of the day I’ll come out fine. I completely ignore any “advisers”, none of them are able to consistently outperform the average market anyway, afterall if they where they’d be investing billions of their own money, rather than be interested in commisions out of YOUR money. Instead I invest after two strategies only. Diversification. Low fees. I’m happy with following the general market, and don’t have any ambition to outperform. Afterall for every person that outperforms, there’s anothe that underperforms. Naturally 90% of the people think they’re smarter than average. But mathemathics is a pretty good guarantee that that ain’t true. One of the things that most concerns me is that it often appears that many people in the UK don’t even realise that their pensions are invested in the stock market at all. It’s not that I think that’s a bad place for them to be, on the contrary, but if you don’t understand where your money is, it’s going to come as a surprised in a bad way when there are down periods, and do ill-considered things, like pulling it all out. I wish people would realise that there isn’t a secret magic money cupboard. Then learn about risk and return and invest sensibly. I have a somewhat different perspective. I too have been “riding this out.” But I am near retirement and have been saving for 20 years. It’s hard to see your equity funds drop 40% when you’re in your 50s. It’s harder in your 60s. And it’s harder still for my recently widowed mother–in her 70’s. It seems to me that it’s easier for people fairly new to the savings game. Their loss isn’t that great in dollar terms, though it is the same in percentages. And they have a longer future ahead of them. Much more time to earn and to invest. There is always an overreaction when someone learns a lesson the hard way. Whether it’s falling off your bike for the first time or watching your 401k shrink after years of increases – it is tempting to just not participate in that activity which caused your pain/stress. Part of the recent shocks could have been avoided with more education – buying a house “for a couple of years” was always a risky proposition – it’s only recently that the risk ended up on the downside. Same thing with being invested in equities – markets go down almost as much as they go up. Short term investors need to stay away from equities. If you can’t handle the market drops then you need less equities. Things are much different from the Great Depression. We live in a global economy, which means that national economies and world events effect our personal finances. Your fundamental personal finance strategies are all under attach from the governments policies to manipulate interest rates and currency supply. Your money is not as safe as you think it is. Which is very true, but the primary education that an investor needs today is not just about a local business because world markets effect every business. Therefore, the eduction that an investor needs today is a global investment outlook to protect the wealth of your personal finances. The article is very true, but at times a little off. Although the wealthy always have money in the stock market, they do not always have the same percent invested in the market. People need to stop and think a little, get themselves organized and then start working on their financial future. An awful lot of people got themselves into trouble by not doing things in the right order, they bought into the financial services industries lofty advertising and bought investments when they shouldn’t have. You have to start at the beginning and follow all the steps. First comes thrift, frugality, and budgeting which are all just ways to control our spending so we do not over spend. The next step is always debt reduction and elimination. Here you focus on paying off everything other then your mortgage and getting it down to a very manageable size payment. Now you start saving, and studying possible investments. First are your emergency funds and life requirement savings (items like vehicle replacement and repair, home maintenance, appliance replacement, etc.) , which should be in simple savings accounts and easily cashed insured securities. You cannot afford to lose these. After that you start the other types of saving which should be invested differently. Even with these you need to have various classes of investments from low to high risk. The greater your savings become the greater the percentage of them should move to higher risk investments. That being said you still need to think when market values are very high is it really a good idea to invest more money in stocks, or should you wait for a price drop. Smart money usually waits, after all if you have done your homework properly every investment you would consider making should have two prices, one a buy at or below $X, and two a sell at or above $Y. There is no way around it if you want to succeed you need to do your homework and planning, never trust others to do it for you. I think a more profitable message for you to write about is HOW to pay attention to the news and not to simply not “pay too much attention” to it. I agree that a lot of news is sensational. However, I believe that there are reasons for paying attention to quarterly earnings reports and a good way to interpret them. I feel that what you have written so far on the topic is too vague and not helpful. For example, an article about “20 different people that are suffering in this economy” is pure fluff and worth ignoring. However, an article about how Timothy Geithner is restructuring the TARP could assist in an understanding of how the nature of banking in America is fundamentally being changed, and it certainly could be profitable to know that. Great suggestion. I love the idea of an article on how to pay attention to the news, about ignoring the emotional and irrational stuff, and trying to extract the things that are useful. I’ll see if I can’t come up with something along those lines. All rhetoric and politics aside, pouring astronomical amounts of new debt onto the existing conflagration cannot pass the common sense test (outside of the Beltway). There may be bear market rallies, but money in the market is more at risk than it’s worth to anyone who is trying to preserve capital. Risk only that which you can afford to lose. “The Market” isn’t the place for capital you’re depending on (at least not until debt is reduced and the U.S. economy stabilizes – and in just how many years will that be?). So… is any responsible financial advisor really recommending “staying in the market” with anything other than speculative investment funds? It’s (strangely) funny that as people are pulling out their money from the stock market, I’m just now getting into investing. I opened my first retirement account last month, and it feels so good to be “greedy,” as Warren Buffet would say. I don’t pay attention the the news — like J.D., I limit my exposure. I also don’t have much to lose, having just started contributing. Is it strange that I’m not worried? With constant government intervention and changing of the rules, no wonder everyone is pissed off and doesn’t know what to do. “Never let a good crisis go to waste”.. I would suggest finding whatever country has the most laissez faire economy, minimal taxes, and property rights and dump my money there. Our big growth years are over. I would love to see a study on the relationship between news consumption and general disposition. My hypothesis — which would need testing, obviously — is that those with less news exposure (financial and otherwise) are happier. In my own life, the people I view as generally pessimistic are the ones who are most “in touch” with current events. Those who are generally optimistic (including myself) are more “out of touch”. I’m not saying that one is right and one is wrong. I’m simply curious about the effects of news consumption on attitude (and behavior). As a financial adviser, I appreciate it so much. I also agree that advisers are not order takers. But having said that, remember that after a certain point, the client is responsible if they continue to clamor for cash. I’ve had a few cases where folks have discussed the option of moving everything to cash and after I make my case known, they still want to go ahead. In those cases, its really up to them. I attended the FPA mid-winter conference and I want to thank you for attending. I appreciate your efforts in the community and wish you the best of luck. The idea that the current mess is a “generation-changing moment” is precisely why I don’t believe we’ll be coming out of it for years – possibly decades. We’ve (the nation) been living in a lifestyle bubble fueled by cheap credit and pie-in-the-sky funny money investments that drove market highs of around 14,000. With tightening credit markets (which really means going back to the old rules of lending to people who have a reasonable ability to pay) and regulation of the funny money masters of the universe, we’re back to the lifestyle that should have been all along. Consumers are now either paying down debt or saving and when they finally get out of debt, things will ease some as they will be able to resume some spending (if they’re smart enough to live within their means). But IMO, if we ever see 14,000 again, it won’t be until a dozen eggs cost $5. While I can’t exactly cash out (I’m in a 403b), I’m thinking of going very conservative. Better to be moving forward slowly than to never regain the losses in my lifetime (which I think is a very real possibility). IMO, Americans are going to have to get used to a much lower standard of living for the forseeable future. PS – did anybody else see the SEC bigwigs on the hotseat before Congress in the Bernie Madoff hearings? Nobody’s been watching the store for years! It’s easy to say that you should keep your assets in the market until after the storm has been weathered. However, as Frugal Scholar notes, some of us don’t have that much time left. I have well over $100,000 in the market. And yes, I’ve dutifully stayed the course. My financial advisors have invested intelligently and, in response to the falling market, moved into cash, bonds, and gold. The result is that as I’m on the cusp of retirement, I’m expecting to be laid off my job at any time — and I’ve lost $153,000 of my life savings. Even if I could live without recourse to my savings in unemployment/retirement (let’s face it: a layoff means retirement for me, since no one is going to hire an elderly woman), even if I could leave every penny right where it is, there are not enough years left in my lifetime to recoup $153,000. And what is left in my savings is not enough to support me comfortably through old age, with Social Security, at a 4% or even a 5% drawdown. Meanwhile, one of my retrograde retiree friends dumped his stock market holdings years ago and started investing in high-interest savings accounts and laddered CDs. He still has all he needs to live on. IMHO, it is just not true that everyone should stay the course when the bottom falls out of the stock market. They may be fine if you’re in your 20s or 30s. But one size does not fit all. I would be happy to write a guest post for GRS with regard to attention. As an adviser, I have observed in my clients a high correlation between irrational investment behavior and the consumption of news media. The proper perspective with regard to attention is not “paying” attention but “allocating” attention, much in the same way one would allocate a portfolio of mutual funds. Allocating attention to one area more than others increases overall “risk.” Likewise, some information sources are more “risky” than others and should therefore receive lower allocation percentages. As a lifetime holder of the name “Kevin,” I’ve gotta say, I’ve never met a *female* with my name. You are absolutely correct. There is not one size fits all answer. It’s vital that investors assess their risk tolerance and use their investment horizon (the time until they need the money) to determine their asset allocation. This is fundamental stuff that people forgot or ignored during the boom years. Great comment. Good post, J.D. Call me greedy, but I always aim to put my “personal economy” in front of the US economy. My strategy for spending and savings doesn’t really change with the economic swings in our economy. I think living below your means, saving, not buying new, etc. are sort of universal personal finance principles! “Advisers are not order-takers,” Kevin said. “You have a fiduciary responsibility. If, as an investment adviser, you think this is foolish, it’s your job to resist. You may even have to fire the client.” – WRONG! Cash is a position! I don’t think the collective intelligence of most of these “investment advisers” is that much greater than that of their clients. These people are SALESMEN! Why would I pay someone to manage my money that knows less than I do? Furthermore, do these people follow their own advice? There should be some transparency there! I agree that this is the type of event that changes the way people view the world. It hasn’t impacted me, personally, all that much, yet, but some of the fear in the news and around me has leaked into my brain. I haven’t sold any of my equity positions yet, and I don’t intend to. I’m thinking of adding to some of my positions – one in particular. It’s a period of great uncertainty. Hopefully things will stabilize – sooner rather than later – especially for those of you who have stated you are close to retirement. There are studies that show that those who consume less “daily” news tend to have higher investing returns than those who do not, and most of the difference is attributable to the costs of churn. Question for you……my husband and I both contribute $100 a month into our 403B accounts. We don’t have much of an emergency fund but are slowing building it up. Lately, we’ve been thinking about cutting back to $50 a month into each of them with the way the market has been. Do you think that is a wise idea or should we just ride it out until the market gets better? Any thoughts you have on the subject would be appreciated. I certainly agree that too many people panic and act irrationally as a result of some half researched, or poorly reported news story. I think people need to educate themselves, as you said, to better understand what they are seeing and make their own interpretations of what is best for their situation. I can share my thoughts on the subject, but please realize that ultimately you have to make the call based on what you know of your life and your goals. I haven’t changed my retirement contributions. I’m continuing to contribute as much as possible to index funds. However, I also have a substantial emergency fund already saved. I think that you’re actually making a smart move. You recognize that you’re nervous about the market, and so you’re doing something to adjust your habits based on your risk tolerance. Yet, at the same time, you’re not just swinging 100% the other way. I like that. If I were in a similar position, I’d try the split that you’re thinking about just to see how it works for a few months. Getting that emergency fund built up is very important, especially if you have debt or a tenuous job situation. The very well-known term “Ignorance is Bliss” is around for a reason. 1) Much of the supposed “losses” in retirement accounts were not “real” gains anyway. Much of what people lost was in fact bubble-fueled increases that no one should have been counting on anyway. You are not entitled to perpetual, insanely high annual returns. And when you lose some or all of these returns, that’s what’s to be expected in a bubble. My parents (and anyone with any common sense or ability to watch TV) knew we were in a bubble, and so they weren’t counting on all of the growth in their retirement to stay there as if it was cash. 2) People nearing or in retirement shouldn’t be in all stocks anyway. That’s common sense. The older one gets, the more should be in bonds, money markets, cash, etc. Greed from all sectors fueled much of our current financial mess. If someone is 60 or 70 years old and has all of their money in stocks, this is partially due to greed and wanting unrealistic growth. Risky financial decisions lead to risky results, and that’s what people have gotten. 3) As with non-retirees, the present value of one’s accounts has little to do with the future. Even if your retirement accounts have taken a dive, there’s no reason to think they won’t eventually rebound and you’ll be relatively fine. Retirement accounts are meant to be withdrawn slowly over a period of decades. So, if this year you only take out this year’s small portion, you should still have the bulk of your retirement funds invested and growing as the economy recovers. If everyone had a solid personal economy and their own game plan…they wouldn’t be swayed by the financial storms we’ve seen in the last year. Deciding what you control is critical to success in money and a gyrating market. I agree with a lot of what Kristina said. Those that are older and are saying 20 and 30 year olds can afford to say ‘just ride it out and everything will be alright’ need to stop. If you’ve read books about asset allocation or personal finance all of them say that as you get older you should phase your money more and more OUT of stocks. The hard and fast rule is that 100 – your age = the percentage you should have in stocks. It’s no fault but you’re own if you kept a large percentage in stocks and found out that stocks can plunge tremendously. If I’m 55 and I take a huge hit in anything I have in stocks again..it’s no fault but my own. In an extension to #8’s reply – since Congress is getting ready to print TRILLIONS of dollars (putting our country in even more massive debt and risk for rampent inflation) – how should this in particular affect one’s investing habits? During the Great Depression, we were still under the gold standard – since that is not the case anymore, how does that change things? First don’t beat yourself up about not being able to time the market- because no one can do it! The Random Walk Guide to Investing addresses market timing and makes a great argument that it can’t realistically be done. I would question how good your advisors are because they moved your assets AFTER a market fall- that seems like they are trying to time the market and failing. Do you think that they will be any better at timing the move back into stocks? If you had a good manager wouldn’t they have had a solid plan BEFORE the market crash? Did your advisor suggest some asset allocation based on your age and risk tolerance? Because no one can predict the future of the market, a solid plan should be solid regardless of market conditions! That wouldn’t mean you wouldn’t lose money this year- it’s just that your losses should have been smaller. The price would have been smaller gains in good times. I’m sorry to hear that you are facing a layoff- but if you don’t have enough savings to retire and you are still able to work I would suggest you start your own business. If you are the boss you don’t have to worry about not getting hired! As for your friend that only invests with savings and CDs- he may be doing great now, but he is at risk due to inflation. Has he considered what 30 years of high inflation could do to his savings? Putting a small % of his funds in stock index funds seems prudent to me. The point about complacency surrounding risk is so on track. As in all painful experiences there is much to be learned from this recession and the related stock market decline. My husband and I have been in the market for 20 years. (We’re 47) Last spring, when it became obvious that things were starting to unravel, he started putting his contribution in a money market within the plan he has at work. Mind you, it took 6 years for us to get back to the previous level after the 2000-01 recession. He keeps saying that he feels like we should put that money in now while the market is low, but I tell him that we’ve already got money in at that level…money we put in 15-20 years ago. Fortunately, when he was starting his career, he worked for many years under a defined benefit plan, and will be able to tap into that at 62 for the rest of our lives, plus SS, plus my 403b, and hopefully the market will recover by that time (do you think it’ll be back in 15 years??? )and we’ll have years of savings in a cash position. Plus, the mortgage should be history by end of next year, so that’s cash available, too. I think being a “news alarmist” is something you should consider facing up to and overcoming – rather like an alcoholic not attending social functions with alcohol at first, then attending and being able to smile and say “No thank you” and sipping the grape juice happily. I do think that nobody should be afraid of the news, and that it shouldn’t ruin your day (unless it is something like Sept 11). 1. It is gloomy/depressing/feel helpless aka Lack of perspective – do you realize that both you and some guy in the fields with a buffalo and a hand held radio are both listening to the BBC? Life is hard, sorry about that, but hiding won’t help. You could even be in a position one day to do something wonderful if you know what the world really needs. 2. Afraid of bias – you don’t want some news guy to give you a readily-formatted socially-approved opinion. Unless your life’s dream is to be the most unbiased juror in history, you should try to think critically and look for solid facts from multiple news sources. 4. Too busy – fair enough, but do you run screaming from mall and waiting room TVs or soak some up when opportunity presents itself? Do you glance at the paper someone left on the bus? Do you help your kids with their current affairs studies homework? Sounds like you’re getting some anyway, no need to really allocate time to it, news is everywhere (evil cackling!). 5. I still don’t trust myself to watch/listen to the news and not overreact or be a miserable wreck – fine! Just realize this makes you less interesting in conversations and more vulnerable to unavoidable tragedies. A great post and a good discussion. The short answer is “Yes”. There is a rule of thumb in the investment business that whatever the small investor does is wrong. Small investors swing for the fence. Larger investors are happy enough with incremental after tax returns about 3% over inflation and are ecstatic if they do better over the long haul. If you see an infomercial about an investment strategy or opportunity, you should run the other way. They follow the next big thing (tech stocks, day trading, flipping houses). If those guys are so smart, why are they selling courses at 3 AM? They are smart because they make a lot of money selling seminars and courses, not because they are great investors. There is a whole developing social science called behavioral economics that deals with the mistakes people make that lead to irrational decisions. Learning to recognize these mistakes may help you to avoid the consequences. 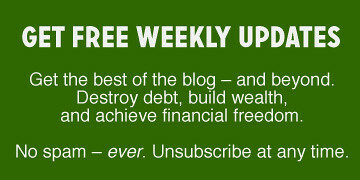 But the quickest way to improve your chances to do well is to read and take to heart “The Millionaire Next Door”, which offers research-based proof that what this blog advocates (frugality, long term commitment) really works. Then read Warren Buffet’s annual letter to his shareholders. Profound wisdom. Buy businesses, not stocks. Don’t try to time the market. Don’t be greedy. This is in a separate post because it addresses a different issue in these responses, namely the confusion about investment professionals. There are three kinds: brokers, who are compensated by commissions on your trades; investment advisers, who are compensated by commissions or by fees; and investment managers. You should not take investment advice from anyone who gets a commission on your activity. You can use them as a source of information, but remember it is in their interest to get you to trade a lot, and successful investors don’t trade very much. Investment advisers who get a fee based on a percentage of the amount you have invested make money when you have more investments, so it is in their interests to help you make more money. Remember: assets under management, not trades. Investment managers also get a fee based on assets under management but they, after consulting with you, have what is called “discretion”: they can buy and sell from your account without consulting you on every trade. If they do well, and your account grows, they get the same percent of a bigger pie, so they too are on your side. Investment managers and investment advisers may be incompetent, but they do not have a conflict of interest. How do you find a good one? That’s another story! I think there’s another group of us too, those who are not yet at the $100k in stocks, however are working towards it and are prepared to ride out the market. A year ago we had just over $60k in shares. Today we’re at $31k. Same shares, in fact we actually own more now than we did a year ago. We’re actively buying more shares now that the prices have dropped than we ever have before. Historically the stock market will rise again. We have the time to wait it out and see that increase. Sometimes, it is better to buy and then think that the stock market has closed for one to two years. That way, we are not reminded of our losses and will not be tempted to sell out. Often, the moment we despair and offload our stocks, is the time when the market begins its recovery. I’m with you. I think avoiding news is a problem that should be faced head on! Funniest comment, I think it should be boxed. The commenter is comparing her own situation to that of a friend who got out of the market prior to the market going down. But the final note is that perhaps the moral of the story is that people should not stay the course AFTER the bottom has dropped out of the market. Funny, your friend did not get out of the market after the bottom dropped out, they were lucky enough to get out before that. Once you have already lost 50% of your money with the bottom dropping out, that is a very different situation. As noted by several commenters, the mistake is staying in such a volatile investment just prior to retirement, which really isn’t the accepted wisdom. But there’s no use crying over spilled milk now. I would say there’s definitely still an argument to be made for staying IN the market now. At least you’d have a chance that way of recouping more of your $153,000 loss than if you pull out and lock in your losses for good. You definitely won’t recoup your $153K if you put the remaining money in bonds or something, so it’s not like there’s another option that’s great. Just my opinion, I know I am not in your shoes. Sorry to hear how it worked out. I just want to add something on watching daily news; I don’t do it anymore as well. I used to but it just made me feel bad… afterwards I felt hopeless, like I couldn’t do anything about it, that it was all Â»above meÂ« and Â»too bigÂ«. It only served the purpose of grotesque “entertainment” for me. Then I realized, what’s the point in watching news if I only do it for these Â»entertainmentÂ« purposes? If I never act on any of it because it makes me feel so powerless in the first place? What kind of sick way to spend my time this was? So what I did then is stopped reading worldwide and national news and now I only read the local news. Because that’s what effects me most. And when ever I notice an article that I feel strongly about — I do something about it; I call people, I write letters, I organize events, I try to change things. And you know what? That makes me feel better, powerful, capable. And that’s what I feel news should be about — to galvanize us into action, to do something. Not to disturb our minds and left us feeling powerless and submissive and hopeless. And it’s easier to do something about something local, than when your head is full of daily events from all over the world, that will probably never have an effect on you one way or the other. downfalls in the bigger economic picture are true opportunities for investment. I have not changed my investing strategy and will hopefully enjoy this buy low opportunity in my later years. I completely agree with you. I never watch or read the news except what I come across in daily life – from co-workers, family, and radio. I am significantly more calm than my husband who peruses all the information he could possibly get. Online, TV, radio, co-workers, etc. He is always worried and kind of negative. Granted, we do have some things to worry about but I’d rather spend my energy finding a solution or educating myself. It may not be exactly like above but I would think that as you get older, you move lower and lower in the risk levels. Am I wrong to think this? Finally, I believe that the global economy affects your personal economy but still you are ultimately responsible for your own financial future. 1. DO NOT INVEST UNLESS YOU HAVE AN EMERGENCY FUND. You decide how much of a buffer you need; I know some people with 3 months and others with 1 year worth of income saved. 6 months seems like a reasonable compromise to me. 3. Allocate your assets in index mutual funds. I’m currently at 90% stocks and 10% bonds. I’ve maintained that allocation for 3 years and counting. If you have a lower risk tolerance go with 60% stocks and 40% bonds. 4. Automatically invest however much you can afford every month. Almost every brokerage has an automatic investment capability on their website. 5. Check your portfolio once per year and reallocate to maintain your set allocation. 6. Adjust your asset allocation as you approach retirement. My plan: 90% stocks/10% bonds NOW, 80/20 @40, 60/40 @ 50 and 30/70 at 60 until death. The key to success in investing is consistency and simplicity. Can I offer sort of an alternative hypothesis here about one of the differences between the wealthy and the not-wealthy? Speaking from my own perspective, and I’m pretty low-income. I find it hard to put money aside for another day because there are so many things clamoring for my attention. We need food around here, I haven’t been to a doctor in years, I need dental care, I just bought a pair of shoes the other day for the first time in something like two or three years (yes, I wear the same pair daily and toss them when they start falling apart), etc. I can never really completely trust that there will be more where that came from, so I spend it while I have it. From what I’ve heard from others in similar situations to mine, they often have the same mindset. Whether you’re employed or not doesn’t even make any difference–in some ways, being employed makes it worse because anything can go wrong and you can lose your job, especially in an at-will employment state. It does no good to tell people, “oh, take care of your teeth, take care of your health, blah blah blah” because stuff happens and sometimes you need help and I notice that folks who offer this kind of advice always want to close the barn door after the horse has gotten out. Getting wealthy is a process. Maybe it’s better to assume about those who are not wealthy that they’re not because they haven’t gotten there yet. Kind of like, just because I’m overweight doesn’t mean I’m not doing anything to lose the weight and get healthier, but anyone who just looked at me on the street wouldn’t know that. My two cents, your mileage may vary.